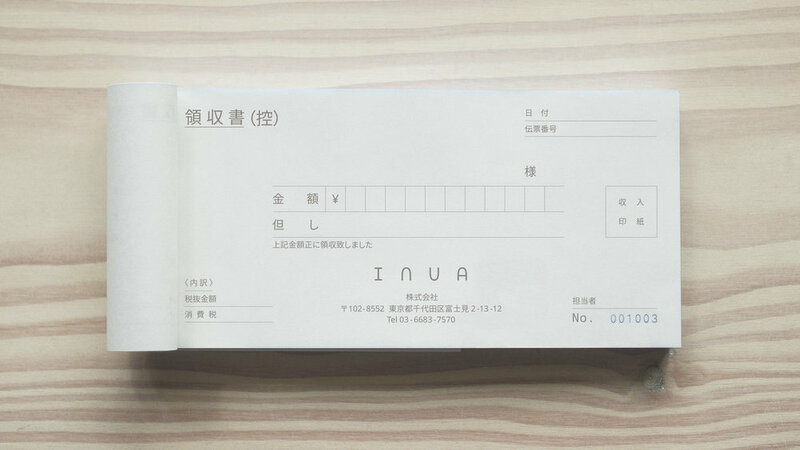 Inua is a restaurant in Toyko, created by the founder of Noma, René Redzepi, and lead by former head chef Thomas Frebel. 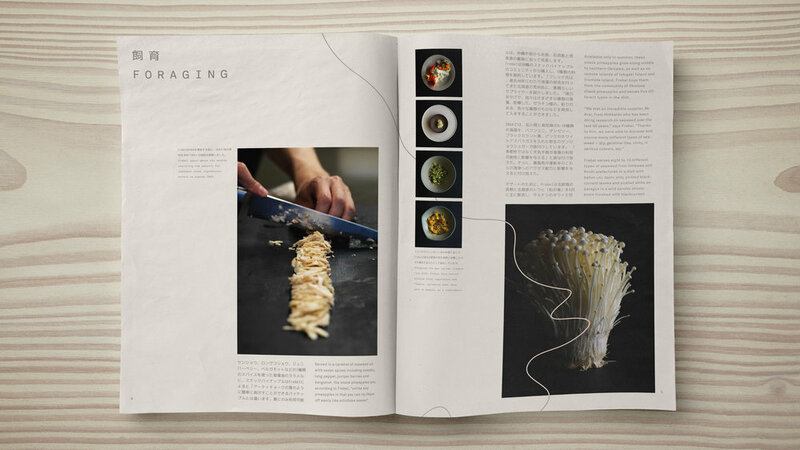 For this venture, Rene and Thomas wanted to take the Noma concept – that food should be connected to time and place – from Denmark to Japan. 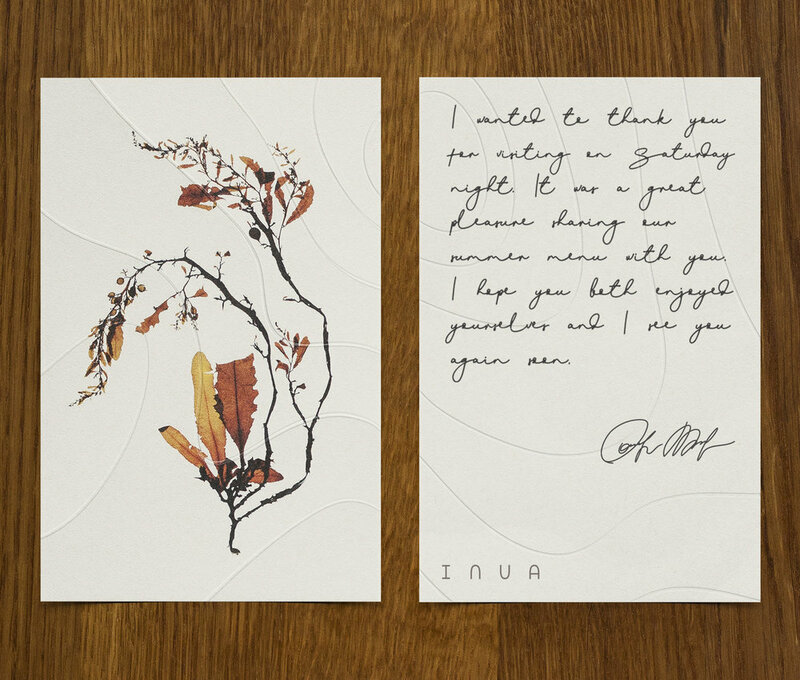 Inua applies the same philosophies that made Noma so special to a whole new palette of Japanese ingredients. 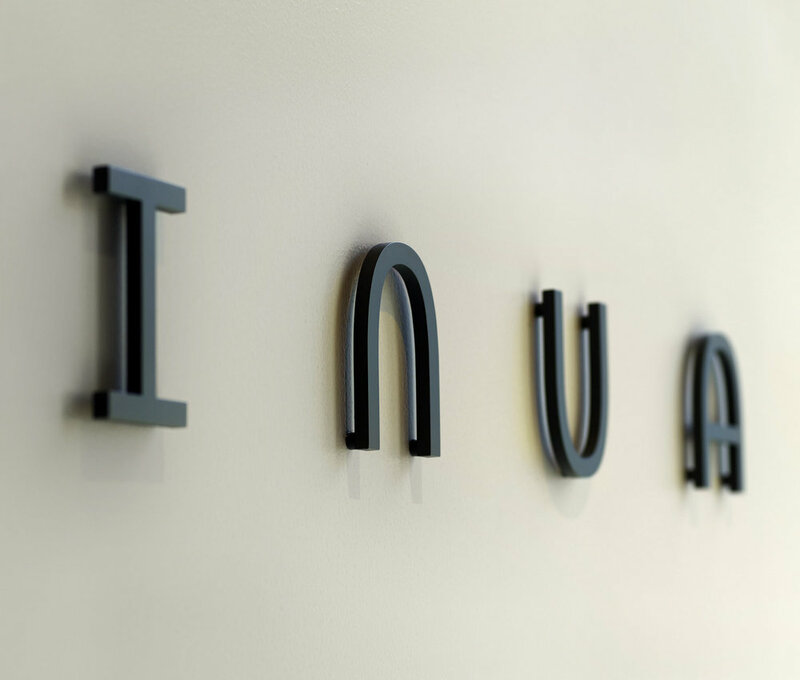 In Inuit culture, Inua is a life-force that binds all things natural – the land, it’s plants, animals and people. This is key to Noma’s philosophy that the restaurant’s practices must be respectful to the environment and culture from which it draws its ingredients. We created a brand idea that reinforces this idea and the unique culinary style at Noma – ‘All things separate, yet together’. 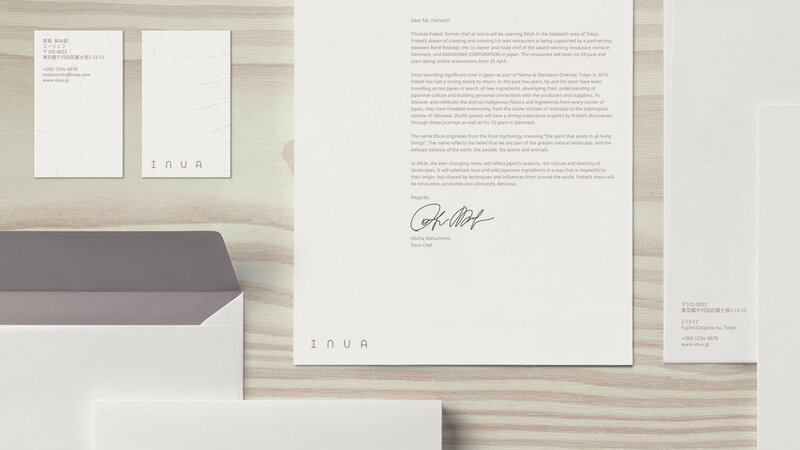 To represent the Inua life-force, we created ‘the field’, inspired by the topology of the land, weather patterns and recurring undulating lines found in stone, wood, plant life and meat. The field binds all natural things together. 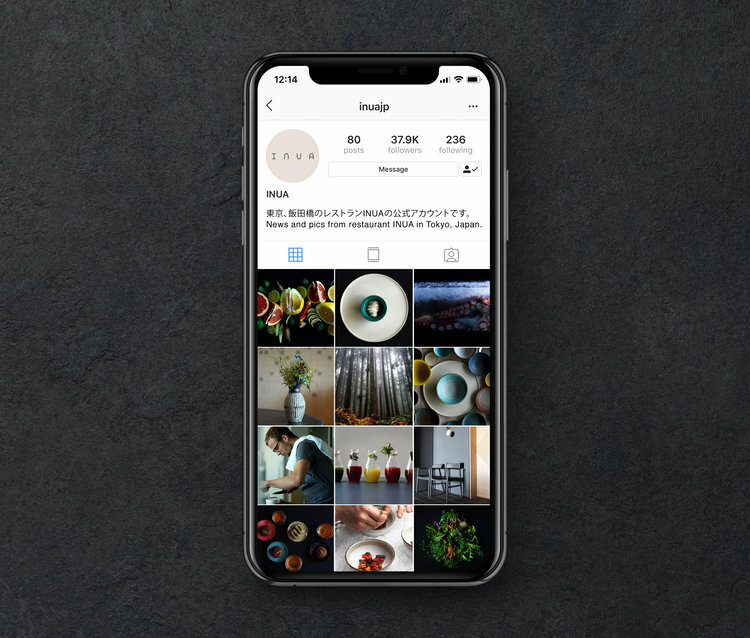 Every piece of the brand identity is connected by the Inua which runs through images of the ingredients used in the restaurant – each element separate, yet together. 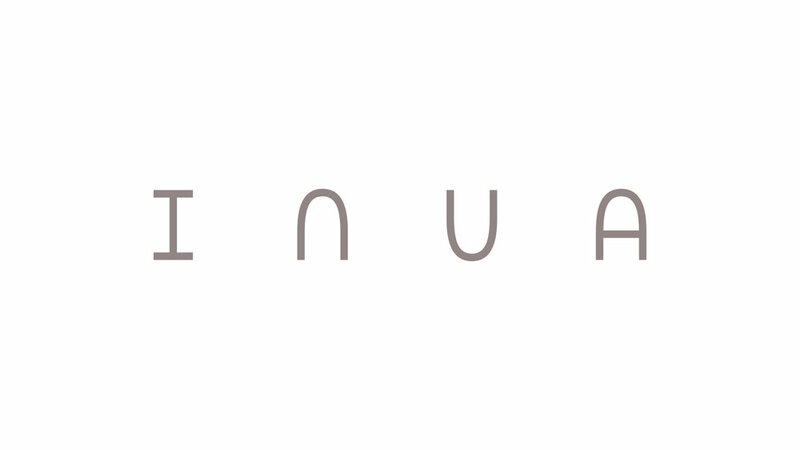 The logo is intentionally minimal to take a back seat to the cuisine at Inua. Designed as a series of understated, symmetrical letterforms the logo takes on a timeless naivety that feels reminiscent of Japan.